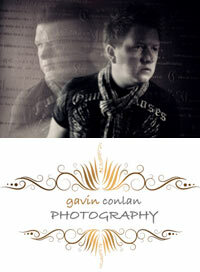 Gavin Conlan LSWPPThis shows the qualification attained by Gavin Conlan within the SWPP and associated societies. Gavin Conlan has an Exhibition here. I would have to say my personality - being able to make my clients feel comfortable and confident. Being calm in all situations and my overall passion to give my clients the best possible photography experience I can. I first started photographing in the winter of 2002 and I turned full time in the summer of 2003 working for the Ministry of Defence, UK Trade & Investment and now for gavin conlan photography Ltd.
*How I got started in photography: In December 2002 I went to New York City for a holiday and I decided to buy my first digital camera - a £30 bargain from Argos. I then became a full time photographer working for the British Government from 2003 until March 2013 and then my business gavin conlan photography became a limited company on the 11th April 2013. I believe my skills are in working with people, enjoying the fun of posing, creating photographs full of emotion, embracing the beauty of a location, fine art image processing, slideshow creation and album design. I would say I'm easy going, relaxed, fun, dedicated in exceeding my clients expectations, I'm always eager to improve and develop my skills and feel I'm very honest and reliable. I am based in Essex but willing to travel both Nationally and Internationally. I have been blessed to photograph throughout the World with some of my favourite destinations being Italy, France, China and the UK. Every venue/location has its own unique qualities about it and a story to tell. 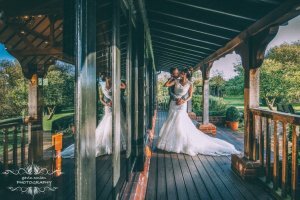 It's my job as a photographer so show the location in all it's beauty, some of my favourite UK wedding venues recently have been Parklands Quendon Park, The Fennes, Moor Hall Venue and High Rocks. David Bailey is my main inspiration from the first time I was blessed to see his collection of images from the iconic 1962 NYC Vogue photo shoot with his model Jean Shrimpton. Others that have inspired my photographic journey so far are the amazing Scott Robert Lim whose workshops I've attended in London England, Venice Italy and Kyoto and Tokyo in Japan. Other photographers that I take inspiration from are Keda Z, Yervant, Jerry Ghionis and Matthew Jordan Smith.I also take inspiration from places, personalities and great lighting I see in everyday life. I've gained my Licentiate award from the SWPP, I have won many local competitions, and I was a regional winner of British Airways London Eye Photographic competition in 2007 and the winner of PDSA photographic competition in 2009. I now try to enter the SWPP monthly competition each month and so far I've achieved 6 GOLD Awards and 12 Highly Commended Awards, which I'm very proud of. I am self-educated; from the first moment I invested heavily into my first DSLR (Nikon D70) I stuck it in manual mode and learnt until I was confident in shooting in different lighting conditions and until aperture and shutter speeds were 2nd nature to me. I have attended workshops in the UK, Italy and Japan, which has been a great learning curve for me. I've also attended a great UK based workshop in the past run by the superb Barrie Downie and Gordon McGowan. Over the past 2 years I've fallen in love with creativelive it's such a brilliant resource and has amazing workshops. The interests I have outside of my photography business are following Liverpool FC, watching movies especially the legendary work of Alfred Hitchcock and I love spending time with my beautiful family and friends. April 1st 2013 the start of my freelance career, April 13th 2013 when my photographic business was born and when Liverpool won the Champions League in May 2005. For me they are the best photographic society out there, they provide me with all the help and information I need and their professional imagemaker magazine is full of interesting articles which is a great learning tool. The annual convention, awards dinner and trade show are one of the highlights of my working calendar. Growing the business of gavin conlan photography Ltd, enhancing my photographic style, developing my social media strategy and I would love to become a photography educator one day. I strongly believe in sharing knowledge to help raise the standards of quality in the UK photographic industry.